Abundance is the true nature of life, and this includes you. 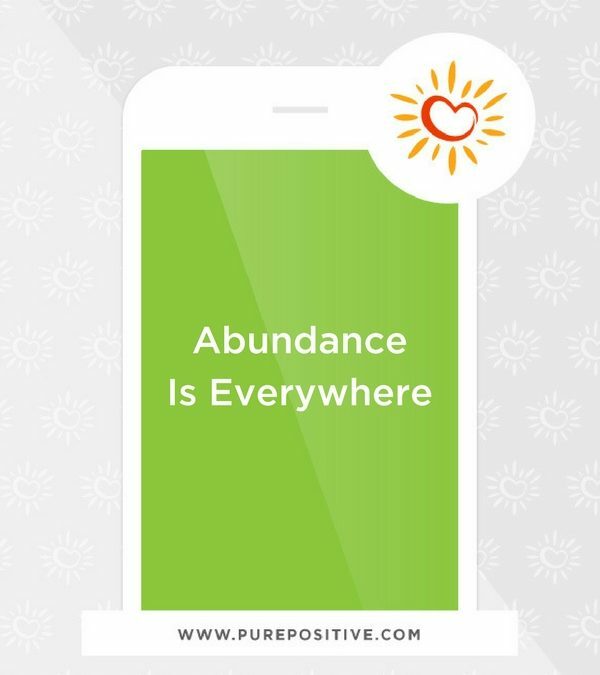 Abundance is everywhere you look and in all things. The universe is abundant with stars. The earth is abundant with life on all levels. The land is abundant with confidently rushing rivers, eagerly growing grasses and plants, and purposeful creatures exploring and experiencing their environment. You delightfully surprised the earth when you were born. You joined the confidence, eagerness, and purpose of all living things. You joined the abundance of humanity in all its glorious forms. Your body is abundant with elements, molecules, and cells. Elements, molecules, and cells that are uniquely yours, and yet part of the terrain and sky and all other souls. Your body teems with activities too numerous to count. Pulsing with life and performing limitless functions and feats. Your cells are never at rest, for they long to abundantly feed, heal and serve you. Your thoughts are abundant with powerful plans of all that you came here to do, and feel, and express. Your life is an abundance of health, success, joy, connection, wisdom, expression, and love. It is the planet’s nature and therefore it is your nature. This feeling of all needs met, all desires fulfilled, all hopes completed, all dreams realized and all goals reached is yours now and always. Because abundance is the law of life.